Road Rage - A Treatable Illness?  These are a couple of examples of what is commonly referred to as "road rage", and is usually characterized by behaviours such as verbal swearing, tailgating, cutting someone off, making obscene gestures, flashing headlights and physical violence. In its worst outcome, it can lead to maiming, psychological scarring and even death. Many factors such as limited road capacity, an increase of the number of drivers, cars, pedestrians etc. maybe some of the precipitating factors which create anger and frustration on the road. Sharkin (2004) states that the term road rage has become common vernacular to describe any displays of anger while driving, although such displays are also referred to as "angry or aggressive driving." Angry or aggressive driving may range from mild displays of anger, such as following too closely on another driver's bumper, to more serious forms of violence, such as physical assault and vehicular homicide. Whereas a considerable amount of attention has been devoted to the assessment and treatment of maladaptive anger in general (Sharkin, 1988), little attention has been paid to the specific case of driving anger. Driving anger may be in need of more attention, especially given that anger may be experienced more frequently while driving than during other activities (Parkinson, 2001). In my view, road rage is an illness. It is an emotional, cognitive and behavioural psychiatric disorder just as the antisocial personality (criminal) is viewed as one. Society, at this point, however, seems to tolerate road “ragers” vs criminals. The extreme outcomes of road rage incidents, however, resemble the same as that of a criminal e.g maiming, killing. The main reason for society not “crying foul” at this time is most probably due to the fact that the less extreme outcomes of road rage such as showing the finger, swearing, tailgating, etc. are experienced by most normal people during a period of time. I, therefore, believe that society accepts road rage as normal behaviour and normal outcomes of the stress of driving. It is only when someone gets hurt or killed that such a raged person is deemed as being a criminal/problem to society and needs to be removed/incarcerated. This statement is supported by Smart, e.a (2002) who states that current reporting on road rage could just be the tip of the iceberg. escalate into more serious incidents (Novaco, 1991). Are certain personality types more prone to the second type? Research suggests that the “typical” low self-esteemed/external locus of control/low maturity level/low self-control/low impulse control/high anger evoked/etc. the type may be more prone to overt and more serious actions during/following their experience of road rage thoughts and emotions (Jerome, e.a 2004). So how long is a piece of string? When is a headache, depression real depression? Very diffuse and intangible. For the sake of this paper, road rage is viewed as a mental illness of human functioning as triggered by the interaction between environmental factors such as heavy traffic, and mental thoughts and emotions vary in intensity in individuals/situations, is evoked differently in individuals and leads to different behavioural outcomes in individuals. The question which then arises is whether it is a treatable illness or not. 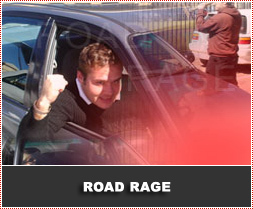 In this article typical road rage causes and treatment, protocols will be discussed.